Eeek! A spooky NEW adventure for Enid Blyton’s classic mystery-busters! As millions of readers know, The Secret Seven love solving mysteries. Trouble is, one hasn’t come along for quite a while. Luckily, top author Pamela Butchart is on the case to bring them a really juicy adventure – which is also a really spooky one! Yikes! 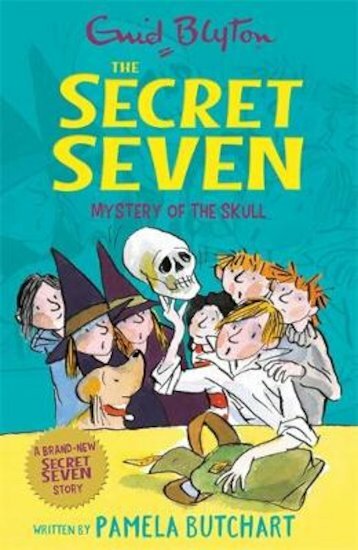 When Peter finds an old skull hidden in his bedroom, it’s time for an urgent meeting of the Secret Seven. As they investigate, the gang see a gigantic hole in the grounds of a local hotel. Could there be any connection between these two weird events? Enid Blyton’s classic detective club is back in action!